The Fukushima nuclear accident is one of the worst disasters in the history of our planet. It has devastated the surrounding soil, people, animals, and food – but that's not all. It has been about 6 years since the disaster first took place. Since nuclear activity is relatively new to the human race, we still aren't completely aware of all of the environmental factors that will be provoked by the accident. However, as time goes on we are seeing some interesting things. Because of this, images were released from British Columbia, Canada and they show something startling. 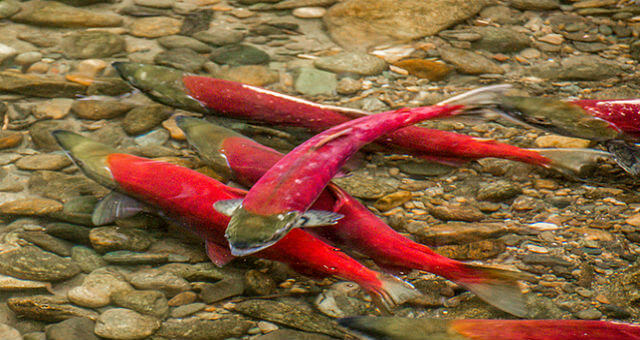 The images feature radioactive salmon! Because of the nuclear disaster at Fukushima, over 1/3rd of the world's oceans were contaminated by nuclear waste. 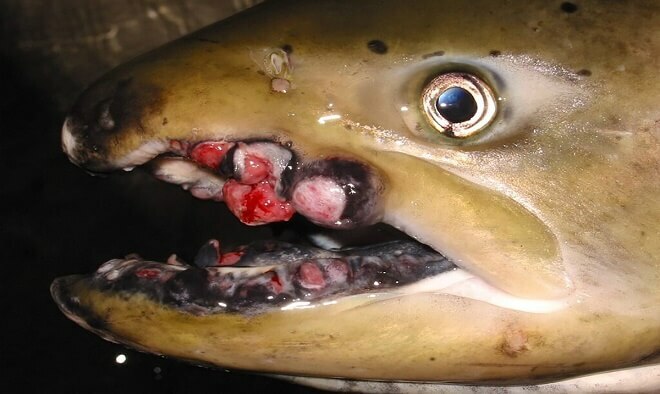 Consequently, fish and other marine life are paying the price. 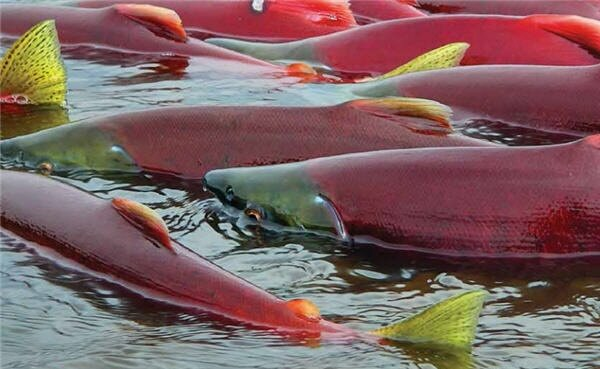 A team of researchers from the University Of Victoria started an investigation of the salmon. They took radioactive samples of the fish and tested them. “WHOI is a crowd-funded science seawater sampling project, which has been monitoring the radioactive plume making its way across the Pacific to America's west coast, from the demolished Fukushima Daiichi nuclear power plant in eastern Japan,” Environews reported. According to the tests, the samples from the Oregon coast measured around 0.3 becquerels per cubic meter of cesium 134.This level of radiation was deemed safe and “not a risk to humans or the environment” by multiple researchers in both the US and Canada.